On the first floor you will find the documentation centre. On the large reading table you can find books, newspapers, journals, microfiches, etc. There is a reader present for microfiches. Printing equipment is available as well as a computer with internet connection. In the documentation centre you will find a large collection of books on textiles, handicrafts, handicraft techniques and textile art. Our aim is to provide our visitors with as much information as possible about textiles. 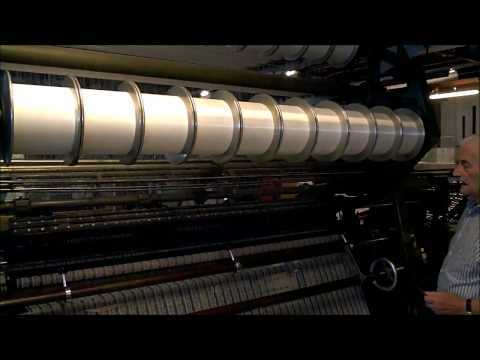 Our special attention is focused on lace, of course, and the lace machines in particular. In this area we are growing. We want to offer research opportunities to all interested parties. We still supplement the book collection with new releases and with books that we receive as donations. All this you can see in our documentation centre. There is a large number of books with data from the church registers and the civil registrations of the municipalities of Horst, Venray, Meerlo/Wanssum, Maasbree, Blerick, Helden, Kessel and Sevenum. In the library of the Museum you will find books and magazines about the history of North Limburg , including the books of the Limburgs Geschied-en Oudheidkundig Genootschap. Unique is the collection of more than 80,000 devotional pictures and weeklies such as the Echo of Horst (from 1965-present) and the Klökske of Sevenum (1981-present). Finally, there is a large collection of maps to see such as the cadastral maps of Horst and Sevenum, Grubbenvorst, Tranchotmaps and topographic maps of the region. You can login with your own username and password.